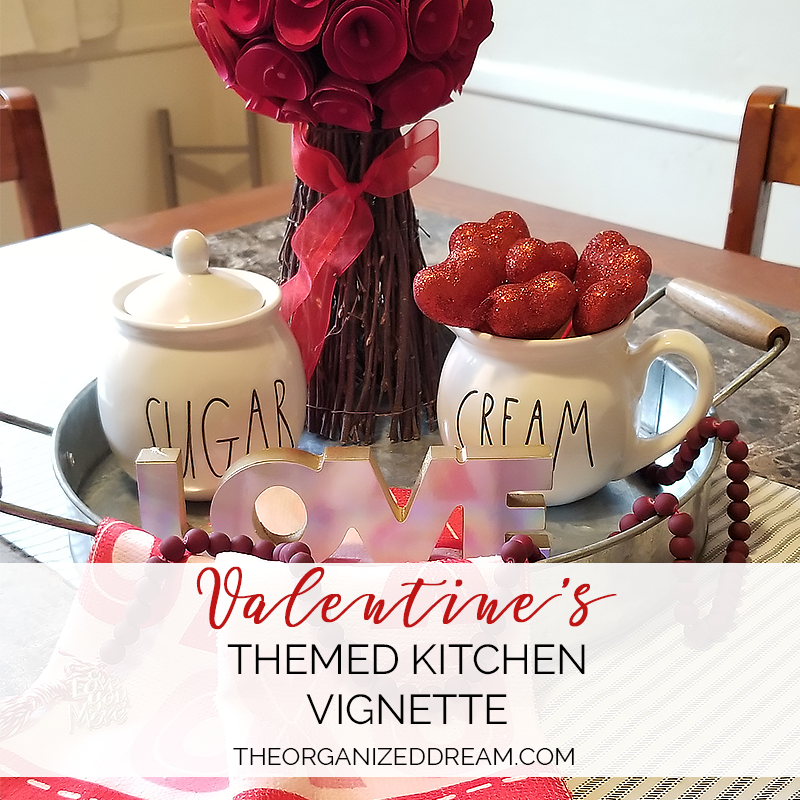 I don't really decorate for any holiday besides Christmas, but I thought that I should add a little Valentine's Day charm to my kitchen table since I've been trying to figure out how to style it anyway. 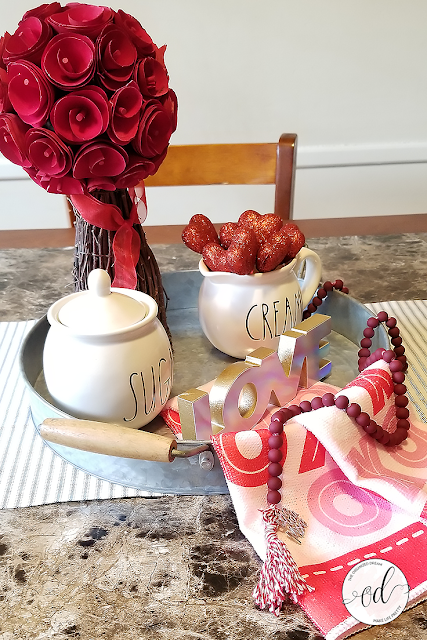 I used some pretty pieces in my galvanized tray and really love the pop of reds! I think that keeping it simple was the way to go so rather than over loading the tray with a bunch of odds and ends, I added just a few pieces to create a focal point to the room. The wood rose topiary was from an Oriental Trading post I did last year. I made the red bead garland with baker's twine and red frosted beads. 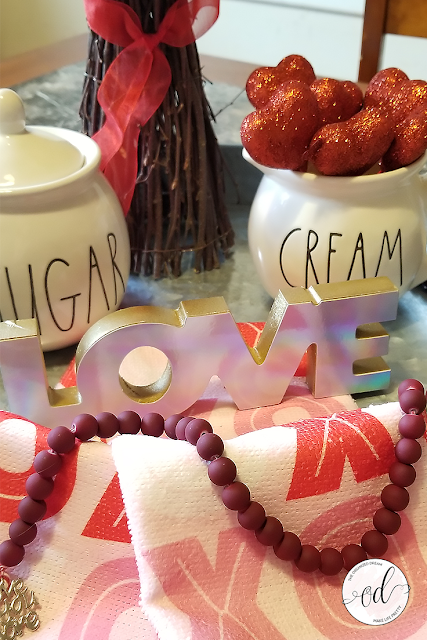 I thought it was a cute twist on the popular farmhouse bead strands. 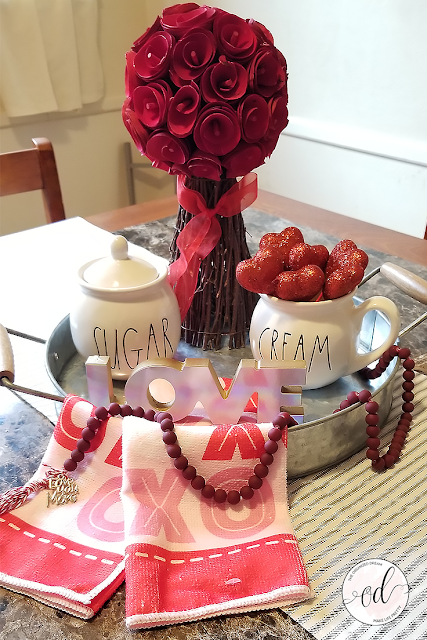 I also wanted to incorporate a couple of my Rae Dunn pieces and settled on the cream and sugar set. 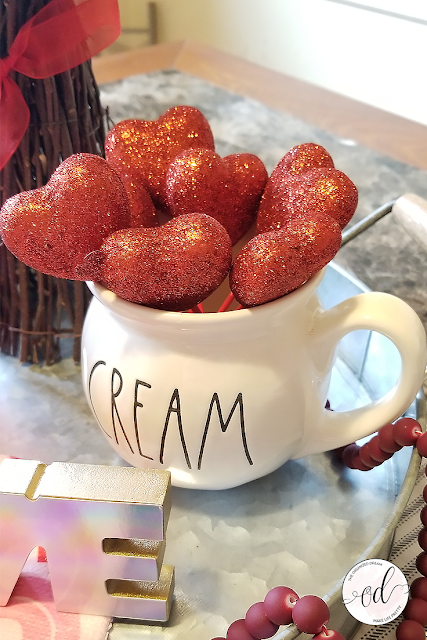 I used glittery heart sticks from the dollar store to accessorize the creamer. They were rather tall so I just snipped them down so they'd fit nicely. The "XO" towel and the "Love" sign were from the dollar store as well. I was originally going to paint the sign white, but thought the holographic look was fun and different. 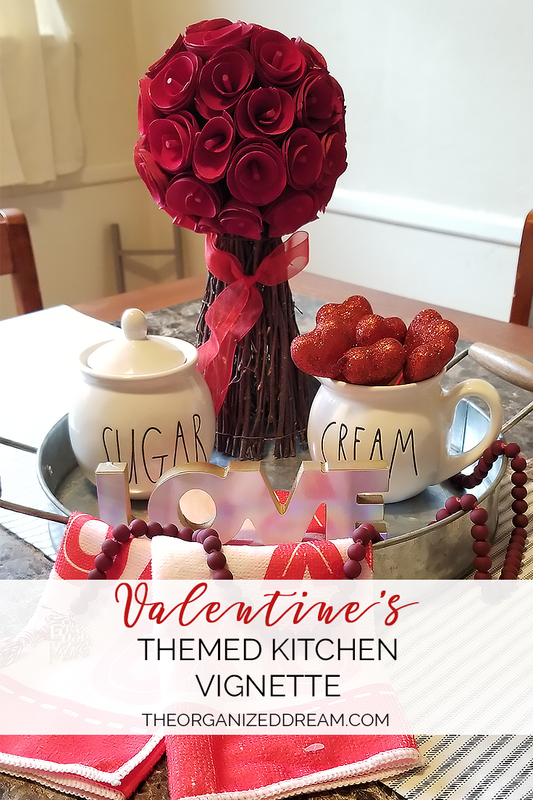 How are you decorating for Valentine's Day and do you have any special plans? 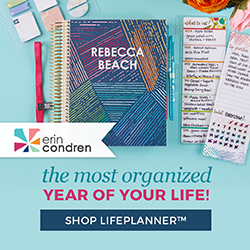 Share in the comments below?